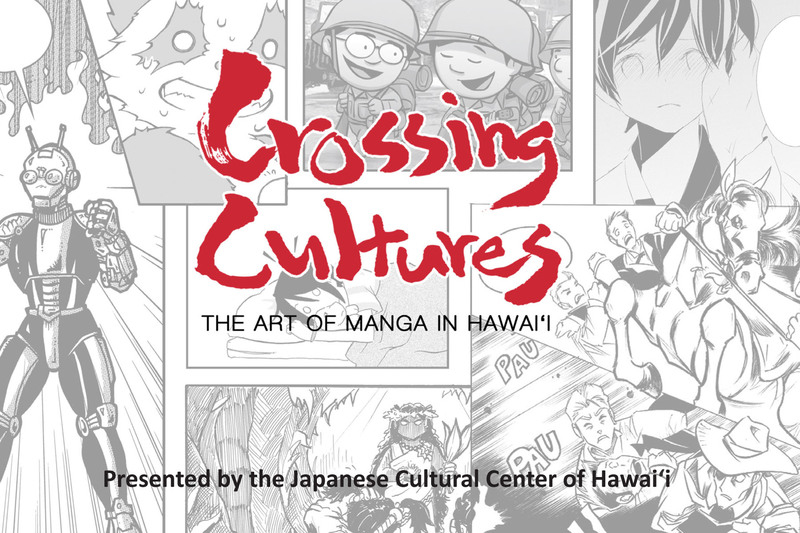 One of the highlights of last year’s otaku calendar was “Crossing Cultures: The Art of Manga in Hawaii,” an exhibit curated by Pen & Ink Works founder Brady Evans that traced the history of manga locally, from its origins in Japan to its influences on the local fan community. I spotlighted it twice in this space during its run, once before it opened, once before it closed. It was a great opportunity to look at original artwork from the featured artists and learn about their creative processes. I’m still trying to figure out how they let this dork in the building to be part of the exhibit, though. Kyunyo, the doujinshi artist featured in the Kawaii Kon section last year, is getting her own spotlight space this year. Pages from her latest work, “Define” — inspired by the anime series Magi — and a copy of the book itself will be on display. Last year’s exhibit had a “Guide by Cell” feature, where visitors could call a number and hear some of the artists talk about their work. New recordings have been added, so this year, you can listen to Audra Furuichi (nemu*nemu), Jordan Takemoto and Tara Tamayori (Hachi Maru Hachi) and Stacey Hayashi (Journey of Heroes) along with last year’s lineup of Brady, Rose Dela Cruz (exhibition label illustrator), Jon Murakami (Gordon Rider), Roy Chang (Cacy & Kiara and the Curse of the Ki’i) and Patsy Iwasaki and Avery Berido (Hamakua Hero). Roy and Audra have painted new murals. Here, have some photos Brady took of their work in progress. The Kikaida section has been beefed up, with more memorabilia — including vintage Kamen Rider, Go-Ranger and Kikaida figurines! — from Scott Shinsato on display. The Alphonse Elric and Persona Teddy costumes have been retired in favor of Voltron, also by the same artist. You might have seen it walking around Kawaii Kon last month. “Meet the Artist/Author” sessions include Patsy and Avery (both of whom are flying in from Hawaii island!) to talk about Hamakua Hero (May 17. 2-3 p.m.) and Stacey talking about Journey of Heroes (May 24, 2-3 p.m.) There’s also going to be a Comic Jam & Artists Showcase with the artists from Comic Jam Hawaii from 1 to 3 p.m. May 31. The exhibit runs through June 7 at JCCH (2454 S. Beretania St.), The community gallery is open from 10 a.m. to 4 p.m. Tuesdays through Fridays and 9 a.m. to 4 p.m. Saturdays; admission is free. Ingress players, there’s a portal on site as well as several others within walking distance (all of which consistently hit max-level 8 under Resistance control, sigh). 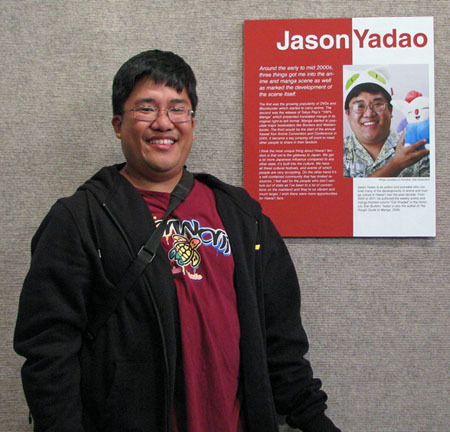 For more on the exhibit, visit hawaiimanga.com. The return of “Crossing Cultures” is just one of the events happening in what’s turned out to be a really busy weekend not just for events with an element of otaku-ness in them, but in general. Unrelated to our discussion here, there’s Spam Jam, AARP’s paper-shredding event in Aiea, a craft and gift fair at Recreation Center 5 in Mililani, a neighborhood garage sale in Waipahu mauka of the Leeward Y, near Waipahu Uka Neighborhood Park … yeah, there’s a lot of stuff going on. And that doesn’t even count the fact that Sunday’s Star Wars Day (May the 4th, get it?). Here are the highlights. Ninth Annual Hawaii Book & Music Festival: It’s going to be a busy weekend for Brady and some of the other “Crossing Cultures” artists/authors, as Hawaii Manga — with Brady, Stacey, Roy and the Hachi Maru Hachi gang — will have a booth as part of the annual celebration of local authors and musicians. Swing by the festival’s Author’s Pavilion around 4 p.m. Sunday and you can see Brady, Stacey and Jon talking about the exhibit and manga in Hawaii, too. On the Civic Center grounds near Honolulu Hale; 10 a.m.-5 p.m. Saturday and Sunday. 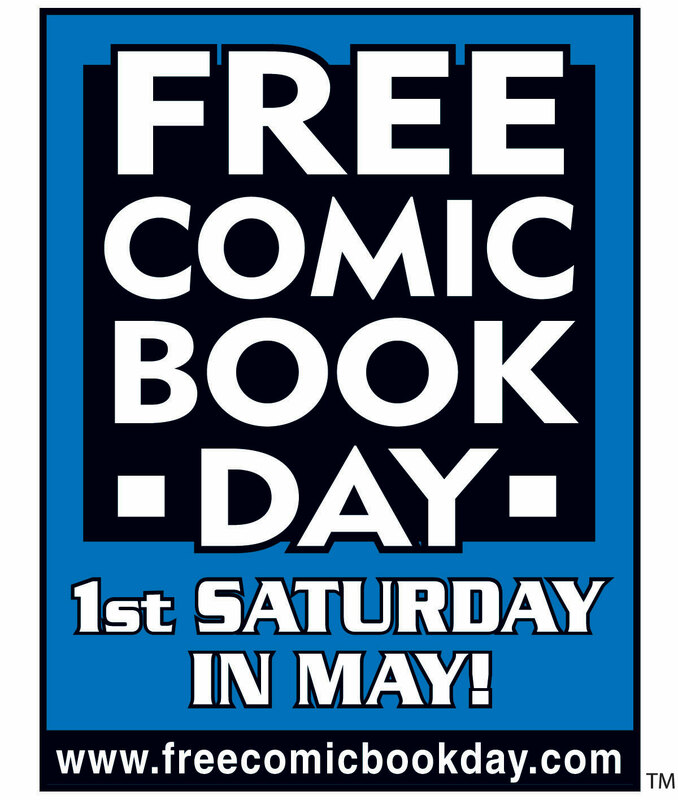 Free Comic Book Day: Stefanie Nakasone did a good job in our print edition (subscription required) summarizing what’s going on, but for those of you who don’t want to click through, here’s a quick, Twitter-attention-span summary: Saturday. Free comics. Four stores (Westside Comics and Games, Gecko Books, Collector Maniacs, Other Realms), 17 libraries (12 on Oahu, plus Hilo and Thelma Parker Memorial on Hawaii island, Kihei and Lahaina on Maui, and Princeville on Kauai). Go get some (keeping in mind that not all of these books will be available at all locations). idkwhat2wear T-shirt blowout: The (take a deep breath here) 17th Islandwide Spring Crafts and Food Expo for Mother’s Day (aaaaaand exhale) is also happening this weekend. I mention this here is because frequent anime con exhibitor/friend of the blog idkwhat2wear will be clearing out T-shirts at this event for $5 each. To drive this point home, this picture appeared on the idk Facebook page late Wednesday afternoon. … yeeeeeaaaaah, that’s a lot of shirts. Find them in booth 705 at the Blaisdell Exhibition Hall. $4 general admission, $3 military members and seniors 65 and older, free for children ages 13 and under. 4-8 p.m. Friday, 10 a.m.-8 p.m. Saturday, and 10 a.m.-5 p.m. Sunday. Kodomo no Hi: Sure, Children’s Day is technically on Monday, but Sunday’s as good a time as any to welcome back a JCCH event that skipped last year. Jon will be exhibiting at this event, and MangaBento will have a booth set up with various activities for the kiddies. Audra’s also going to be there to promote the Crossing Cultures exhibit from 11 a.m. to noon. They’ll be part of a day that will also feature entertainment, cultural and martial arts demonstrations, the traditional children’s kimono dressing and a keiki kendama tournament. (Your friendly neighborhood anime/manga blogger once tried one of those kendamas at the behest of the Otaku Ohana Anonymous Director of Forced Social Interaction. It … didn’t go very well.) At the center, 2454 S. Beretania St.; admission is free. 10 a.m. to 2 p.m. Sunday. Hawaii Comic & Toy Expo: More than 20 dealers will be on hand to happily take all the money you have … umm, I mean, heartily encourage and nourish your various collectible and comic passions. Also in attendance will be artists Sam Campos, Andy Lee, Theodore Lee, Kevin Sano and Kanila Tripp. Admission is $3; children under 5 are free. Visit www.hawaiicomictoyexpo.com. 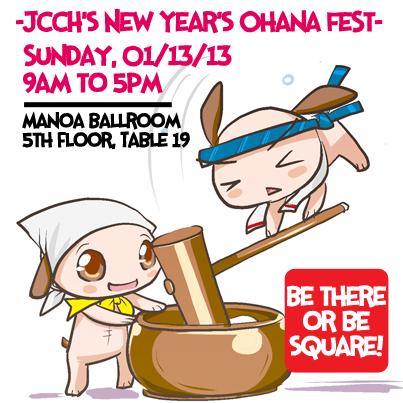 Ala Moana Hotel (Garden Lanai room), 8 a.m.-4 p.m. Sunday. Comic Jam Hawaii: This group of collaborative cartoon artists meets every first and third Sunday of the month at Pearlridge Center; locations within the mall may vary. Visit www.facebook.com/groups/ComicJamHawaii (Facebook login required). 1 to 4 p.m. Sunday.